Beer burros are thing, girls, and we are 100% on board with it. 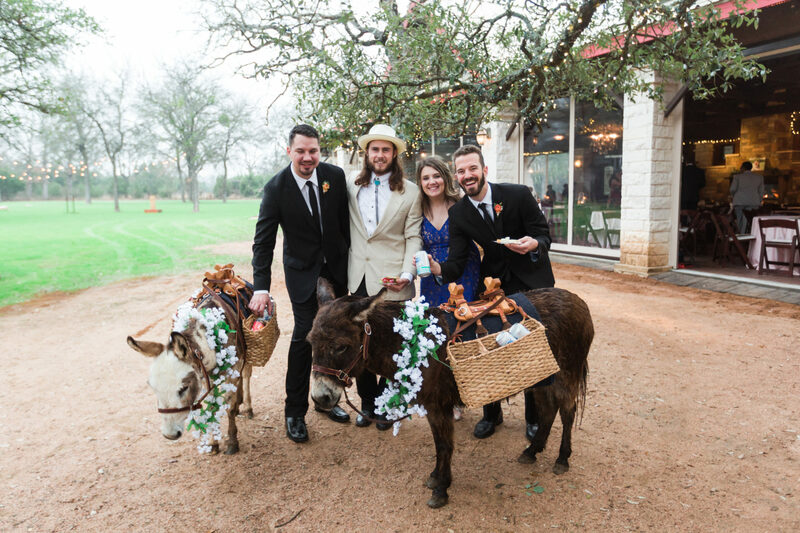 Married in Texas at Kindred Oaks, Jennifer and Sean enjoyed each other, cute beer burros (scroll down to see! ), amazing BBQ, and gorgeous garden-rustic style on their wedding day. Also, we feel it should be mentioned—Jennifer’s mom is the one that discovered Jennifer’s Astrid & Mercedes Divine wedding dress while they were shopping at Serendipity Bridal. So, ladies, sometimes mom is totally, 100% right!